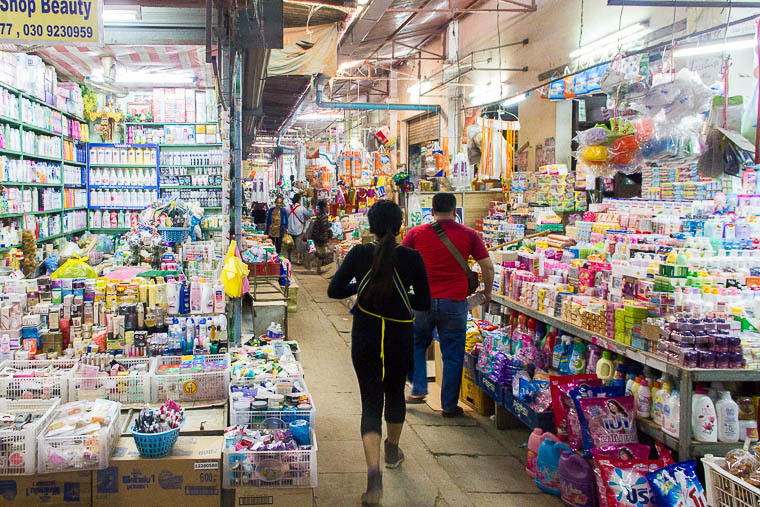 The quiet town of Luang Prabang doesn’t have shopping malls. Locals and foreigners buy food and do shopping at the local markets and shops. 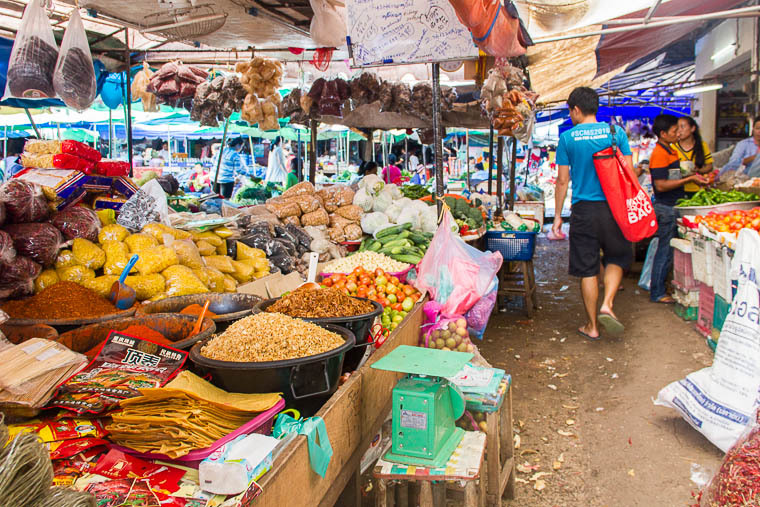 The night market and morning market are located nearby each other, at the heart of the town. Our guesthouse is located within walking distance from both markets, so we visited them on a daily basis and loved them! 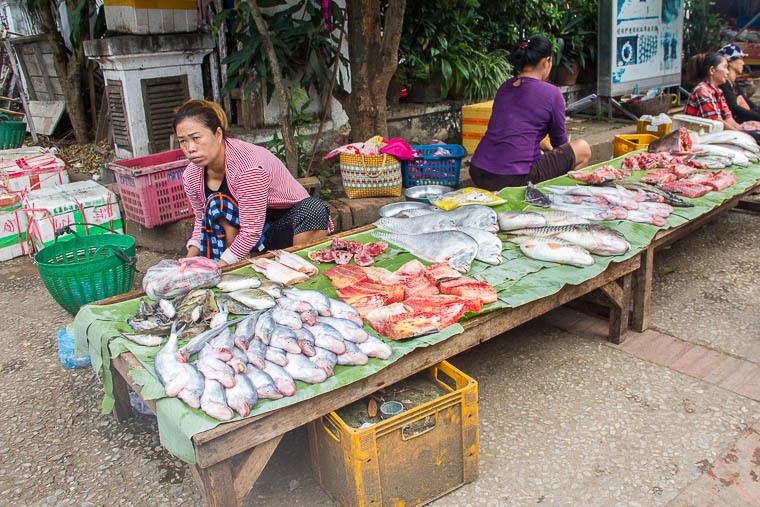 There are several markets in Luang Prabang. 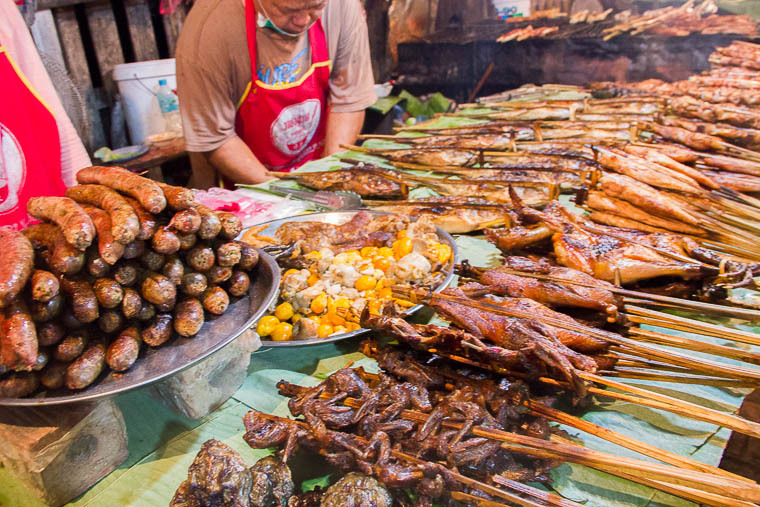 Here are just 4 markets that are located near the main street of Luang Prabang. I highly recommend you to visit Night Market in Luang Prabang. 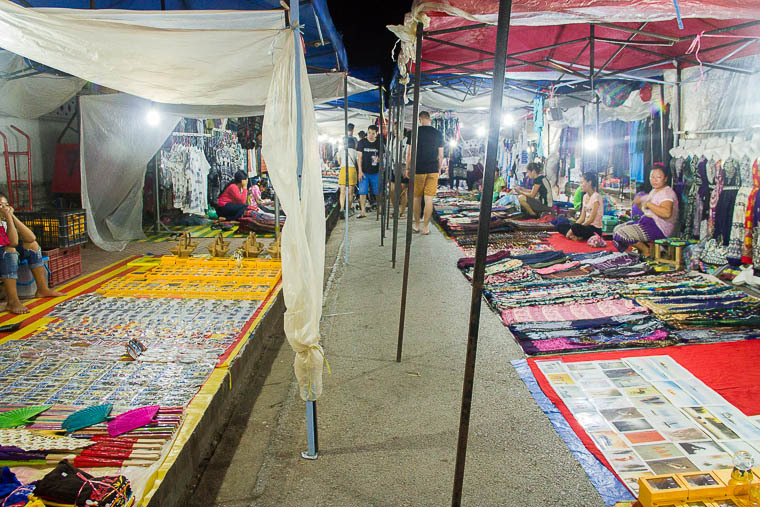 The Night Market is located along Sisavangvong Road (aka the main street), between Tourist Information Centre to National Museum. Here, you’ll find affordable souvenirs, such as coffee and tea powder, clothing, handmade crafts, hand-drawn paintings, and much more. 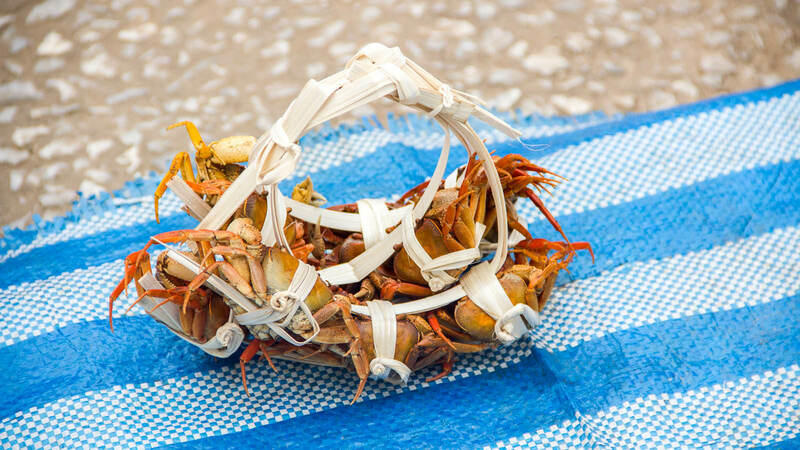 The prices are negotiable, but try not to push too hard if they’re within your means. Beyond National Museum, you’ll be able to see a row of stalls selling juices and quick bites (sandwich and crepes). Between Tourist Information Centre and Indigo House, there is a narrow road where you can find delicious street food. 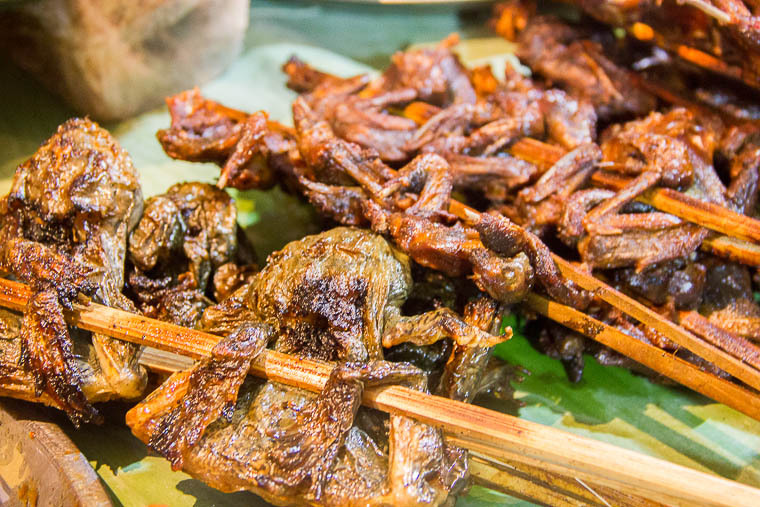 This Night Market food district is one of our favourite places to eat. We had dinner there almost every night. 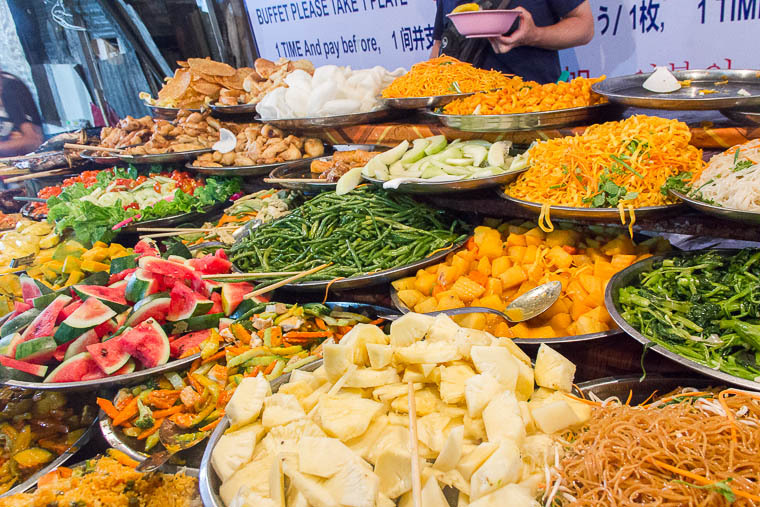 Some popular foods are grilled fish, grilled pork, grilled sausages, the 15,000 kip buffet (load whatever you want onto your plate for one-time only), noodle soup and spring rolls. Note that you can’t sit anywhere you want, the seats are reserved for certain stalls and you need to buy from them in order to sit there. Our favourite food? 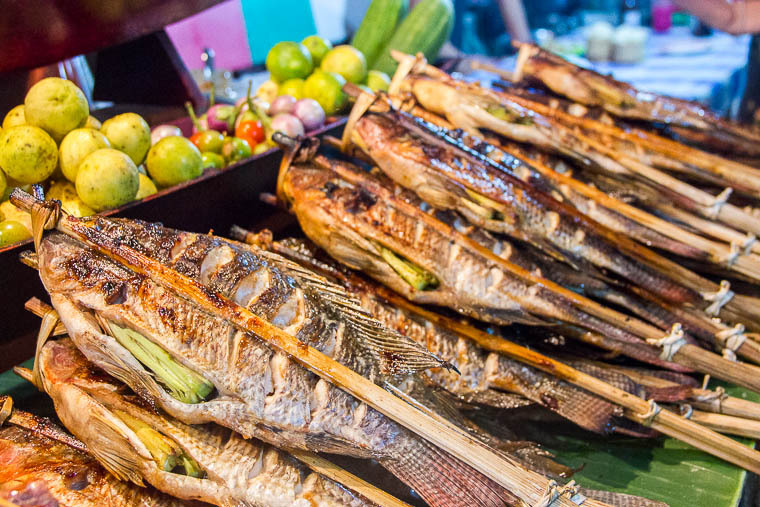 The fish that’s stuffed with lemongrass and grilled until it has that alluring aroma nobody could refuse. I’m drooling as I write this and think about the mouth-watering grilled fish. You can also buy Lao beer there (10,000 for a small beer, 12,000 for a big beer), but we prefer to buy beer from minimarkets along Khem Khong Road to save money (10,000 for a big beer). 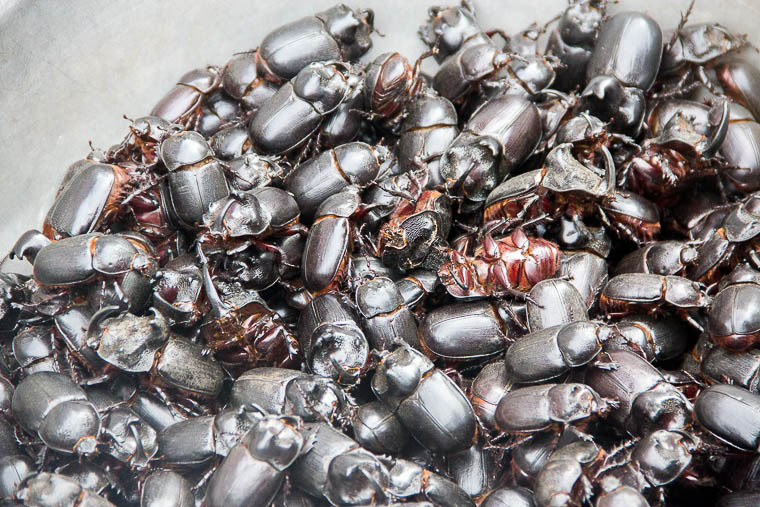 Located on Kisalat Road just behind Tourist Information Centre, Morning Market is a bustling market where you can find produce, raw fish, raw meat, fruits, breakfast (noodles, sticky rice, etc), snacks as well as unthinkable insects and amphibians. 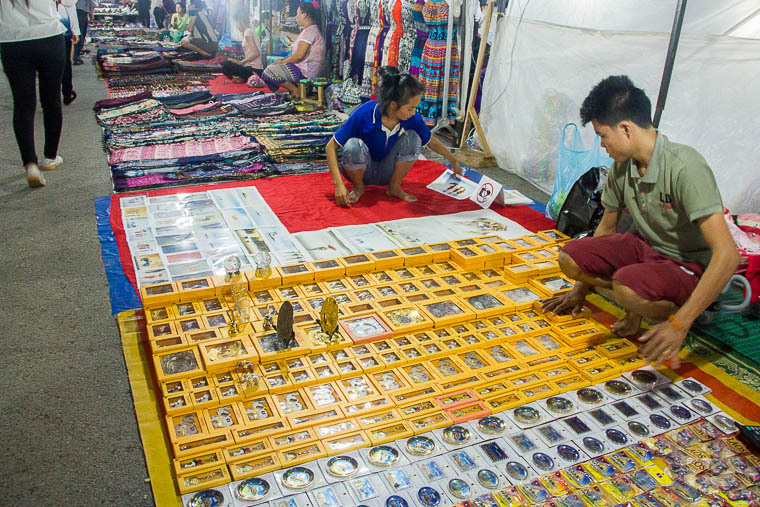 Most sellers lay down their stuffs on the floor, and install a temporary shelter to protect them from the sun. 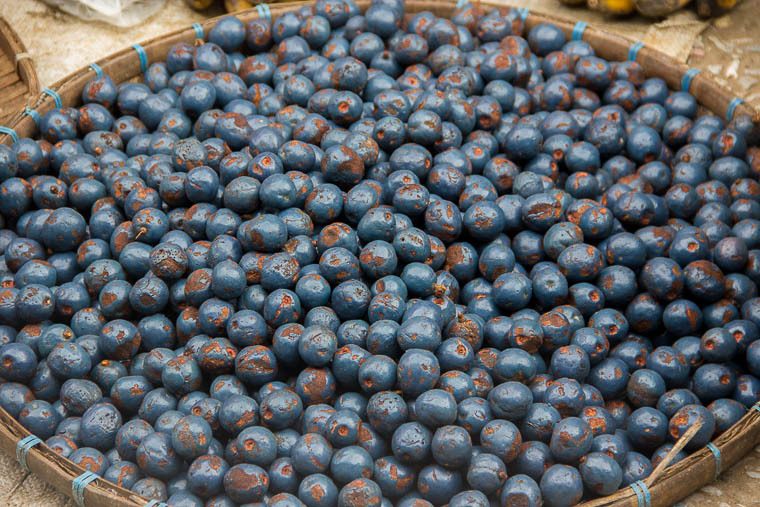 Our favourite part of the Morning Market is the fruit stall. We bought a couple of pomelos, and the seller peeled the skin for us at no extra cost, despite language barrier. There were big pomelos and small pomelos; the seller recommended the small pomelos to us, signalling through sign language that they’re tastier. Indeed, the small pomelos were really sweet and tasty. We also tried a noodle soup in the market. They were good, but we tasted better ones elsewhere, which I’ll write more about in the upcoming post. 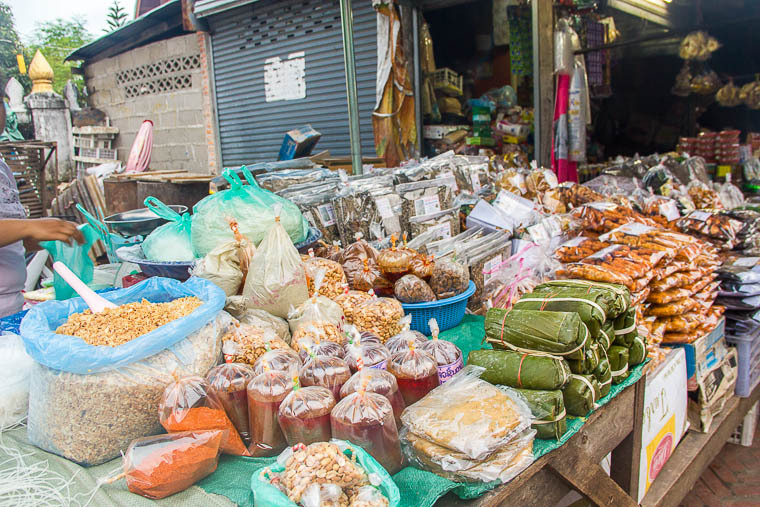 If you’re joining the alms giving, you can purchase sticky rice from morning market, or from mobile vendors who will approach you along the main road. 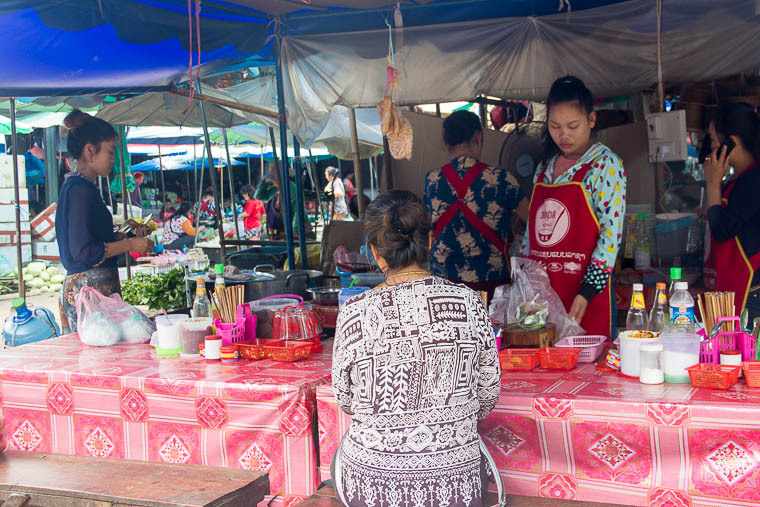 Touted as the largest market in Luang Prabang, the Phosi Market is not exactly within walking distance from the main street. To get there, either take a tuk-tuk or ride a motorbike. 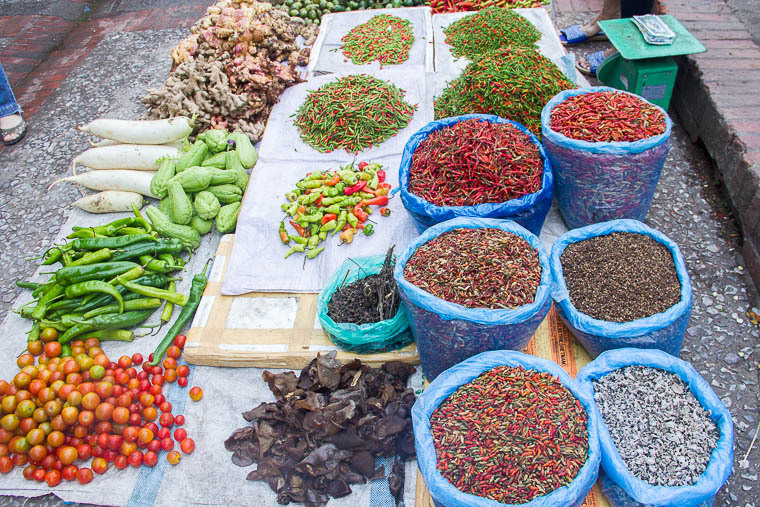 It’s a good idea to visit the market on the same day you visit Kuang Si Waterfall, because the market is on the way. The market is really huge. 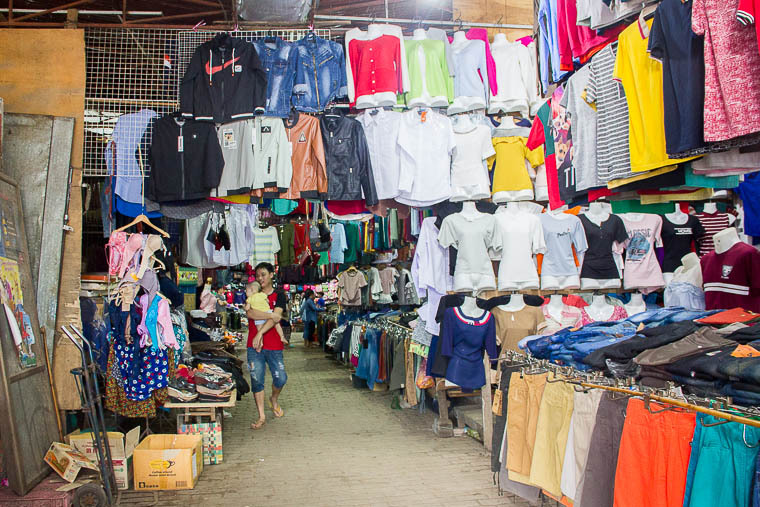 You can find almost everything, from fruits, vegetables, cooked food, cooking ingredients, clothing, footwear to bathroom supplies. PS: It could be hard to notice the market’s name on the front wall, we missed it a couple of times when we rode motorbike. We tried to ask locals where Phosi Market is, but due to language barriers, some thought we were asking about Phosi Hill and pointed us to the direction away from Phosi Market. 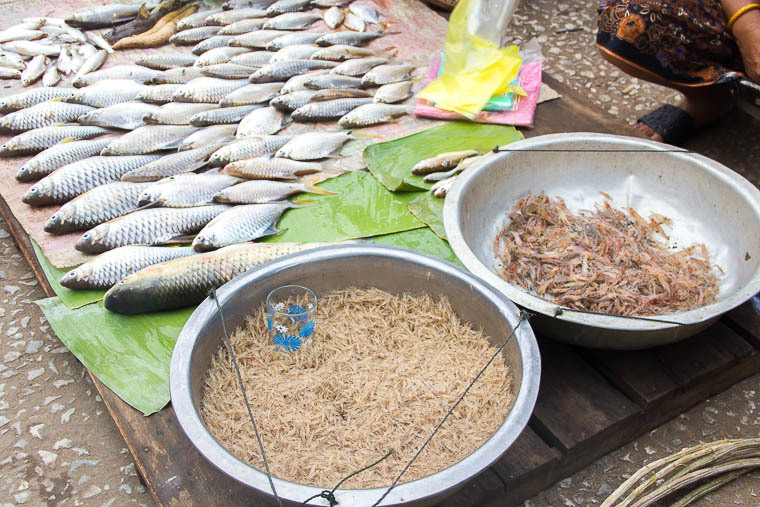 Dara Market is located at the intersection of Kitsalat Road and Kingkitsarath Road. It’s possible to walk to Dara Market from the main street. 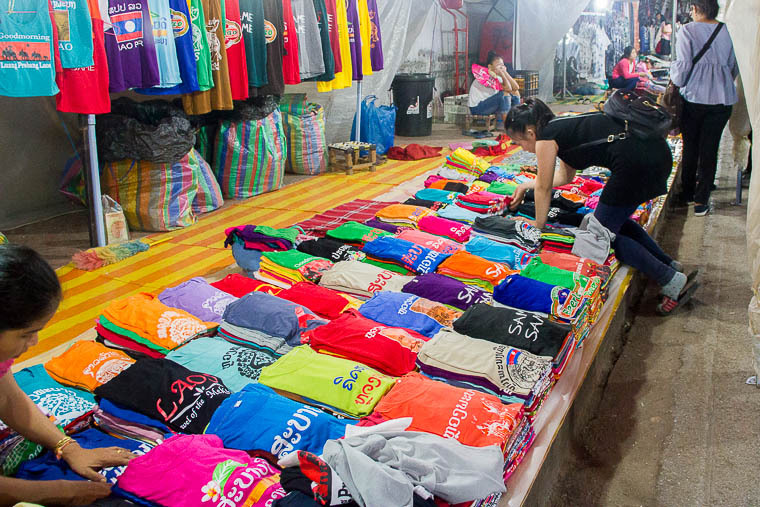 Traditional Lao’s apparels are widely sold in this market, along with casual clothing, footwear, bags and backpacks, electronic accessories, daily necessities and produce.